Nikita est tr�s jeune, elle a vingt ans, mais elle a emprunt� une mauvaise voie. Pendant un hold-up avec sa bande, elle tue un policier et est condamn�e � la prison � vie. Les services secrets, par contre, lui offrent une voie de sortie : devenir un agent sp�cial, pr�t � tout, � leur service. Nikita accepte et commence ainsi un apprentissage tr�s dur qui concerne non seulement les diff�rents modes de tuer, de prendre la fuite ou de faire face � des situations impr�vues, mais aussi la mani�re de se comporter en femme qui a de la classe, capable de se conduire avec aisance dans tous les milieux. Sous la conduite de Bob, Nikita arrive � freiner son caract�re rebelle et � surmonter la terrible �preuve finale. Elle semble �tre devenue une personne diff�rente et tombe amoureuse. Mais faut-il faire confiance aux services secrets ? 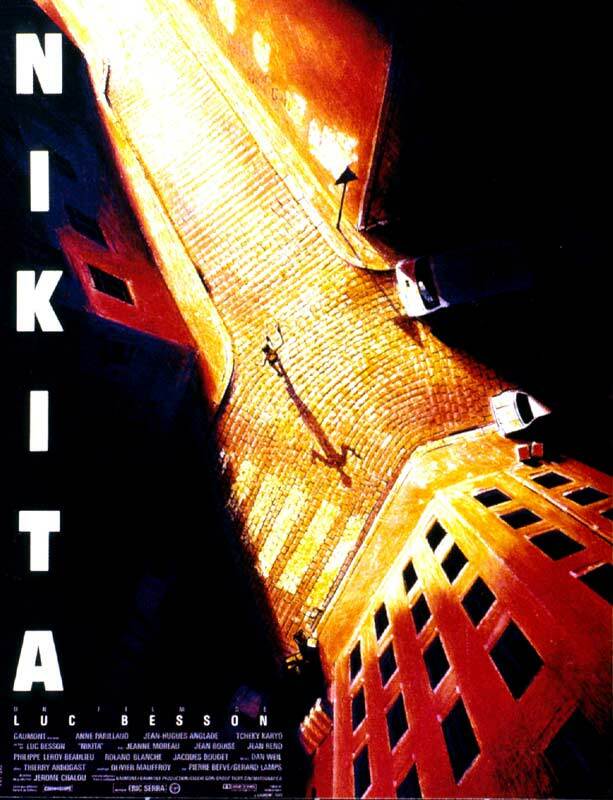 Nikita is a young lady who with two Nihilist friends commit robbery and murder while on drugs. After her trial she is not executed or taken to prison, but to a school for special operatives. She is told that Nikita no longer exists and she will be trained to pay back society for what she has done, as a spy/assassin. She is trained for over two years and with no warning is handed a gun in a restaurant and told to kill the man at the next table as her handler leaves. When I first set out to try and use film to help me with learning French, it was a completely uncharted territory except for one title I had heard of previously: La Femme Nikita. 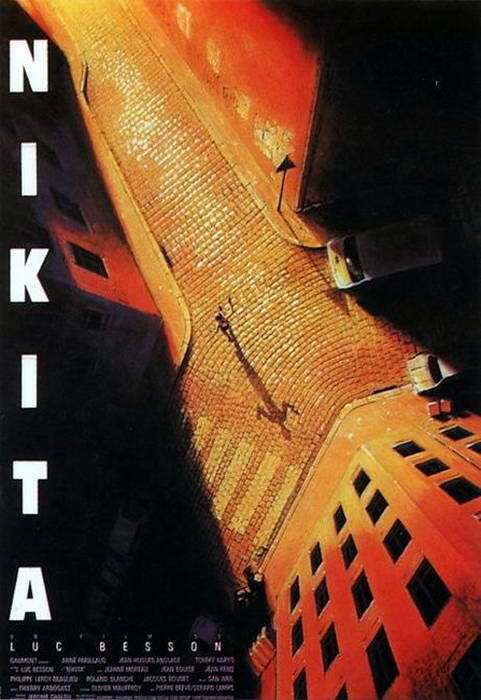 This film was such a success that it went on to fare well in the U.K. and the States, which is always an achievement for a subtitled film, was later remade in Hollywood as Point of No Return and then finally as a TV series.It starts very suddenly with a girl, we will come to know as Nikita, involved in a drugged-out store robbery that lands her in jail. Probably from the fact that she has nothing to lose, she is chosen to be removed from prison and entered into training as an assassin for the French DGSE (think CIA). As she goes from drug-addicted street trash to secret agent, we watch her remain steadfastly defiant in her original style until her handler reaches through to her and she begins to accept her new life and allows herself to be tamed. The central theme of the movie is Nikita and her reactions to her continually changing fortunes, so this tamed peace rapidly transitions across rejection, freedom, love, manipulation, terror and eventually selfless sacrifice (I've given away nothing!). Throughout her experience, a common thread in many of these phases, and often the catalyst for them, her handler, is the source of her most complex relationship. Their interactions carry tones of unrequited and forbidden love which drive him to cruelty toward her to punish himself and drive her to frigidness and rebellion against him. In many ways, the cloak-and-dagger moves, secret organizations and gun battles are just window dressings for that relationship. Thankfully, there is much more in relationships and "window dressing" to keep us riveted and thinking throughout this movie.